The weather is cooling off and Abu Dhabi is exploding with events this October. This month we have a number of Bavarian themed events going on right here in the capital, a Korean Festival and performances from Mark Ronson through to an AC/DC tribute. We’ve also got a Halloween fun run, a circus on ice, a mixology class, the Stills Bar reopening, a Shakespeare performance and my personal favourite thing about October in the UAE – the camping season finally begins. This list doesn’t aim to be exhaustive, it just gathers a few of the things that caught my eye for the month ahead and as I don’t own these listings, it’s always a good idea to check with the venue as details may change. Tired of the same old expat questions? Leave behind the ‘What do you do? Where are you from? How long have you been here?’. 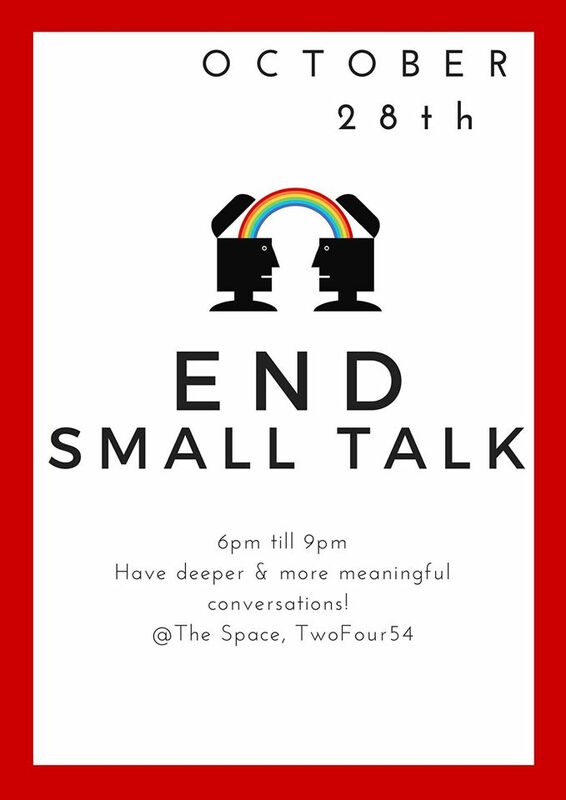 Practise fostering deeper and more meaningful conversations with the fifth event from End Small Talk and see what you can learn. Entry is free! Free entrance and live music. Great selection of dishes for non-Muslims, including roast suckling pig, but there are also a number of halal dishes on offer too that are prepared in a separate tent. The atmosphere is great, set in a themed area outside with the fantastic skyline to peer out at. Definitely worth a visit. Payment works on a voucher system, in booklets of AED 100 and are non-refundable so make sure you plan your spend ahead. Booking a table is advised. Call 026979000. Not tried this one yet but hoping to. Great venue and great value. Over 60 varieties of beverages will be on offer from 22 Different Countries. 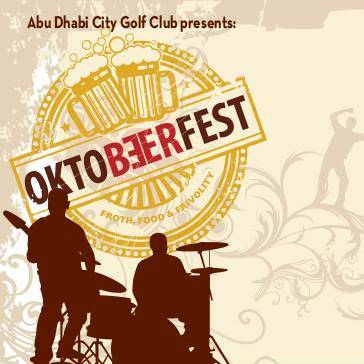 Only AED 60 for entrance including a drink. Not the value deal of the bunch. We headed out to Yas last year and found it a little pricey and the food left something to be desired. It does have the long traditional bierkeller style long tables and a good crowd, but the German band they had flown in for the occasion tended to play more covers of songs rather than the cultural tunes we were expecting. 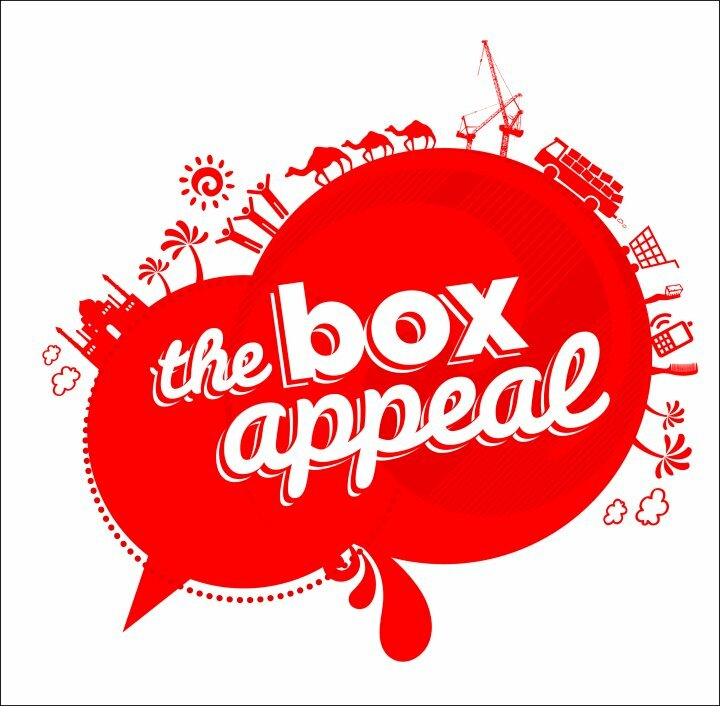 Collect a box from any participating Radisson Blu or Park Inn Hotel and fill with essential goods from a provided list. This list includes items such as a t-shirt, cap, disposable razor, toothbrush, comb and other toiletries. Once returned, these boxes are then distributed to those most in need across the region. Described as ‘a cheerful performance with deep dramatic and unforgettable story line’. A performance sure to enchant the young and not-so-young alike. 10,000 people will be able to enjoy performances from Mark Ronson and Labrinth, who will be headlining the first Green Grooves concert. Tickets starting from AED 200. We’re promised a tribute act that features one of the most authentic looking Angus’ in the business. The band will entertain with classics from the entire AC/DC catalogue at the central location of City Golf Club – just be careful not to mix the two venues up! The Halloween NEORUN promises more glo, more paint, and more excitement! With the hashtag #ScariestPlaceToGlo, they invite you to grab your friends, your costume and dash through a spooky track before joining the Enigma after party. Tickets from AED 150. Ok so this one isn’t until next month, but if you are in the same shape as me, you might want to start upping the training now. I took part in the 10k last year and found the Reem Island Runners Meetup group a great support. On your marks! Entry available at PremierOnline. Adult entry fee AED 260. 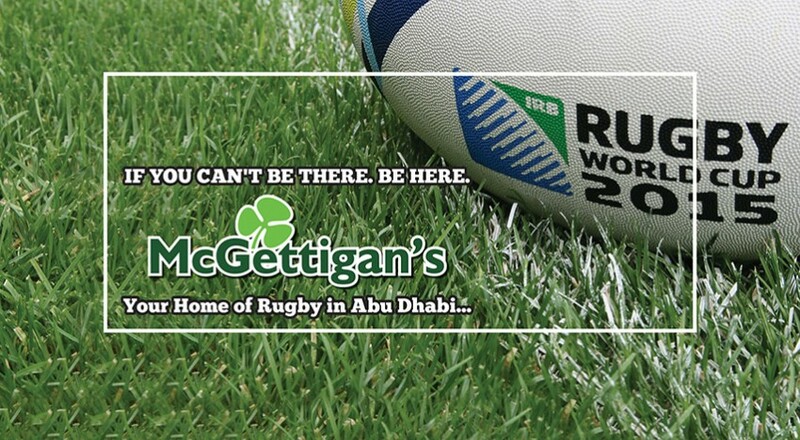 McGettigans is positioning itself as the home of rugby for this Rugby World Cup. Voted Abu Dhabi’s Best Sports Bar 2015 by Timeout magazine, seems the place to be if you are wanting your rugby fix. The rugby ‘Pie & Pint’ special is offers value at just AED 79, and includes a cool pint of Guinness and a tasty shepard’s pie topped with mash crust, available on game days. Finally, the camping season is upon us! Weather is cooling down and its time to make the most of the beautiful outdoors. The Escape Abu Dhabi group will travelling to Oman’s most northerly port (less than 60 KM south of Iran). 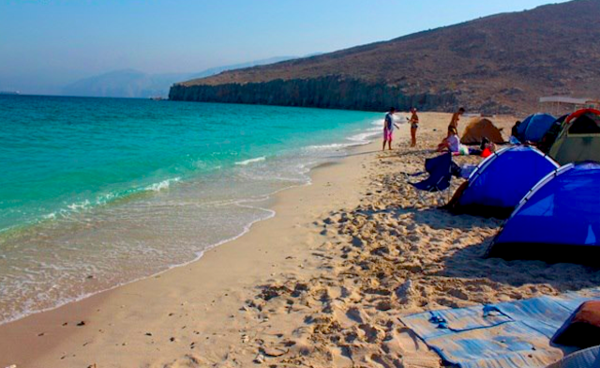 From mid-day they will board a private traditional Omani Dhow and enjoy a 4-5 hour cruise. Expect to enjoy some snorkelling/swimming stops, lunch on board and keep an eye out for dolphins! The dhow will drop the group off at one of the many beaches that aren’t accessible by road where you will set up camp under the stars. Cost pp, AED 300. All the information you will need about what to bring and meeting location etc. available on the Escape Abu Dhabi Meetup Group. You will need to sign up to the site to access details. 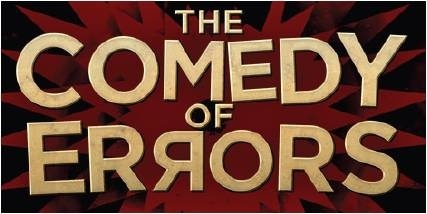 Often still referred to as The British Club, The Club will be hosting the Bedouin Shakespeare Company, who are returning to the UAE with a brand new production of William Shakespeare’s Comedy of Errors. Tickets are available to non-members for AED 150, and there are also pre-theatre dinner options available too for ticket holders. The festival, spread over three days, will include a Korean film screening, food tasting and folk games allowing you to experience Korea. 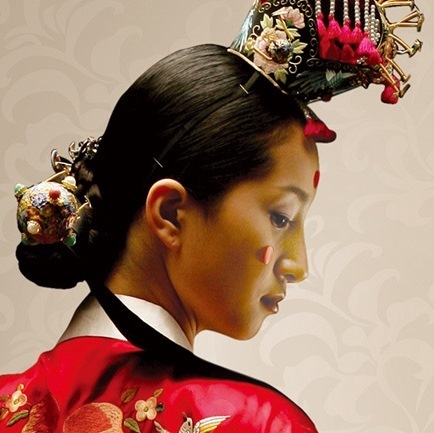 It will feature Korea’s world-wide famous non-verbal show NANTA and fusion traditional Korean music band Coreyah. There will also be a Kimchi master from Korea who will be demonstrating how to make the traditional fermented Korean side dish made of vegetables with a variety of seasonings. The festival is hosted by the Embassy of the Republic of Korea and entry is free. An event to celebrate all aspects of American, Canadian and South American culture, food, drink and traditions out on the green pastures of Abu Dhabi Golf Club. I’ve been to their previous SANZA (South African, New Zealand and Australian) sister events before, and always found them to be a great day out and chance to catch up with friends in the sunshine. Fantastic family venue too, with plenty to entertain the kids. General entry AED 100. Take the Mixo-Arts mixology class and learn the art of ice, drinks ingredients and how to execute the perfect pour. Sample your newfound skills with snacks. AED 170 pp, Sorso Bar & Lounge. Listing taken from Time Out Abu Dhabi. Call Ritz Carlton for more info 028188888. Stills bar has been closed for refurbishment and has now reopened with a new, beautiful outside deck. 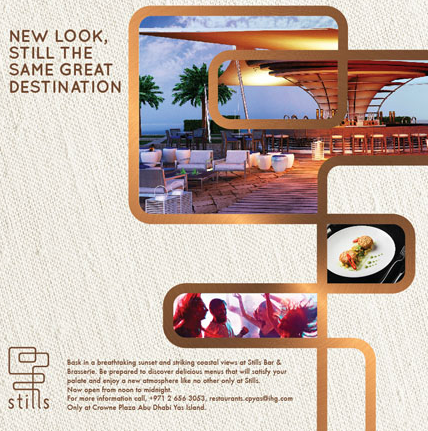 They invite you to soak in the breathtaking sunset and striking coastal views at their bar and brasserie. Now open from noon to midnight. For more information call 026563053. 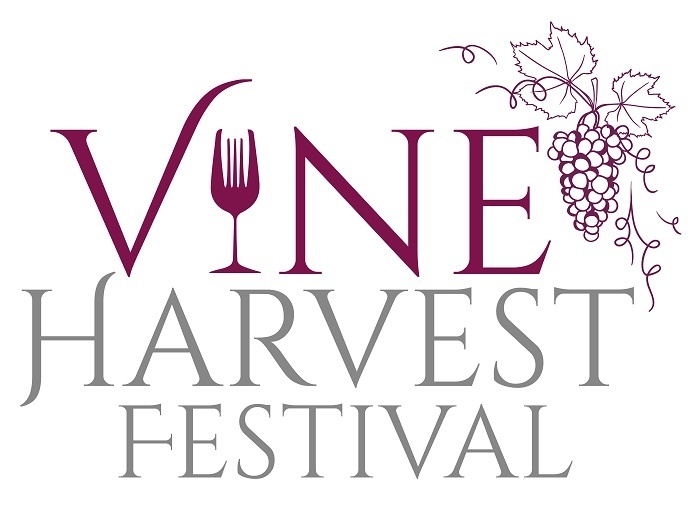 Vineyards from around the globe will be showcasing the fruit of their labour. 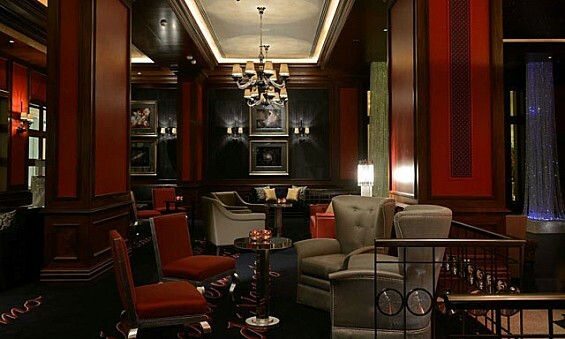 Enjoy an evening out with unlimited wine on offer for AED 275. Food will be on offer and activities too. Tickets available from Spinney’s stores across town. With many events not advertised widely, word of mouth is often the only way to hear about things. So I’d be delighted to hear what your top picks are for October 2015 in the comments section at the bottom of the page. Get involved! Would love if you would post some of the UAE Trekkers hikes coming up! We have a 4 day hikes, mostly for beginners, and that’s only for October!